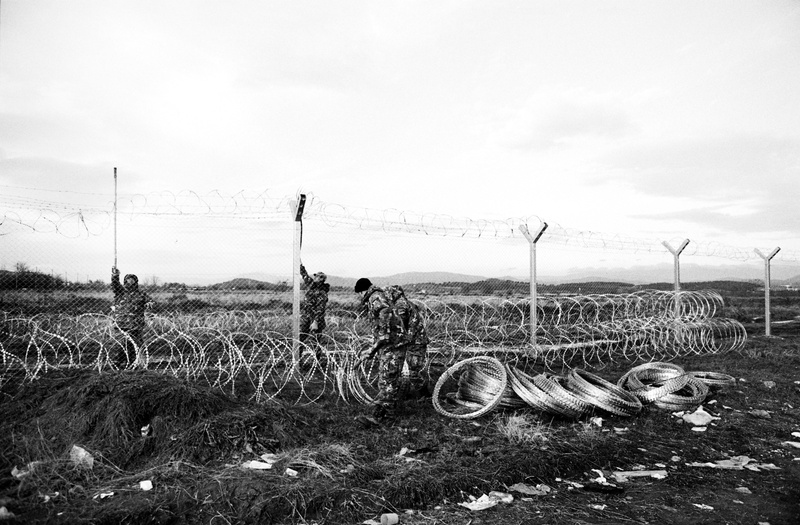 FYR Macedonian military use razor wire to construct a border fence – Idomeni, Greece. 29th November 2015. 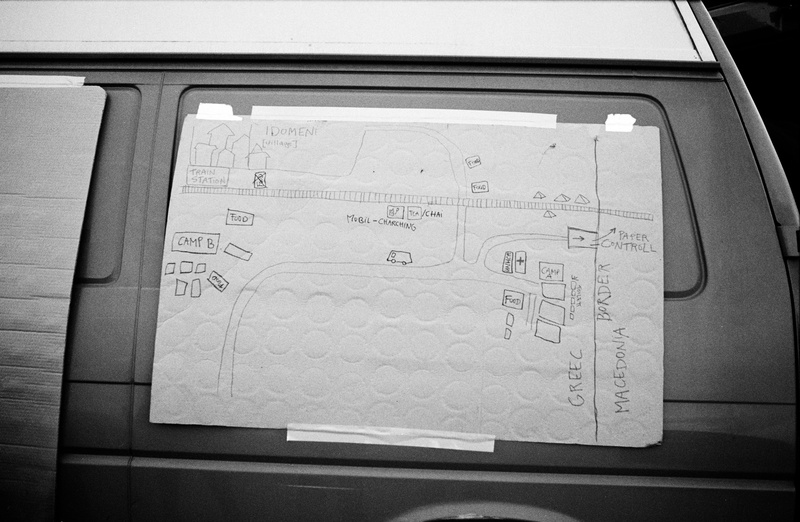 A ‘map’ of the border crossing at Idomeni – Idomeni, Greece. 2nd December 2015. As the sun starts to set a Kurdish family from Syria prepares for a night with no shelter on the Greek/FYROM border. 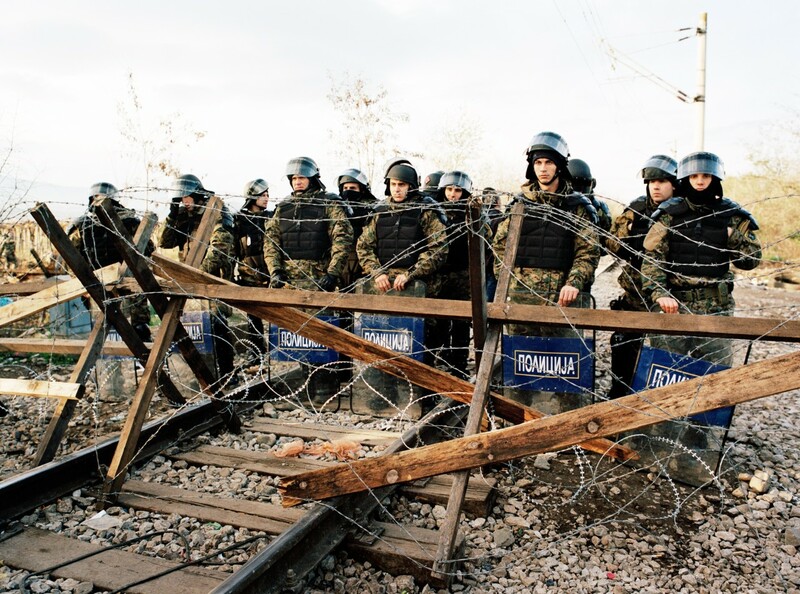 – Idomeni, Greece. 3rd December 2015. 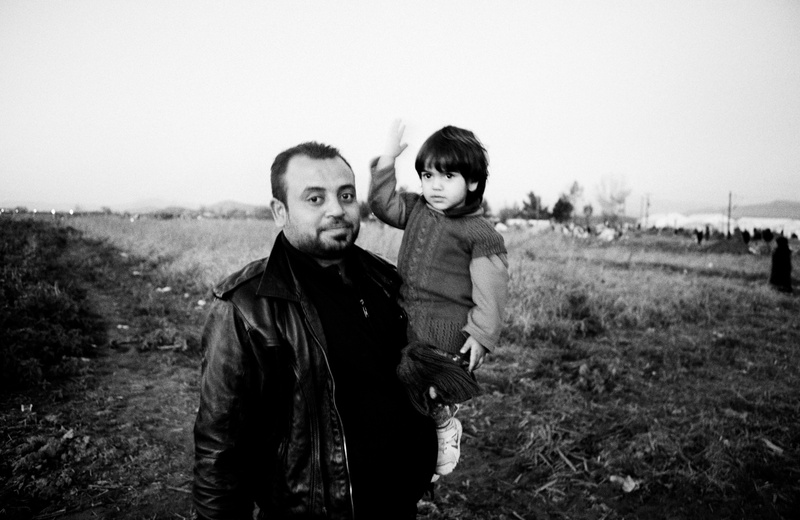 Fatima with her father, Mushtaq, who’d worked with the US military in Iraq. 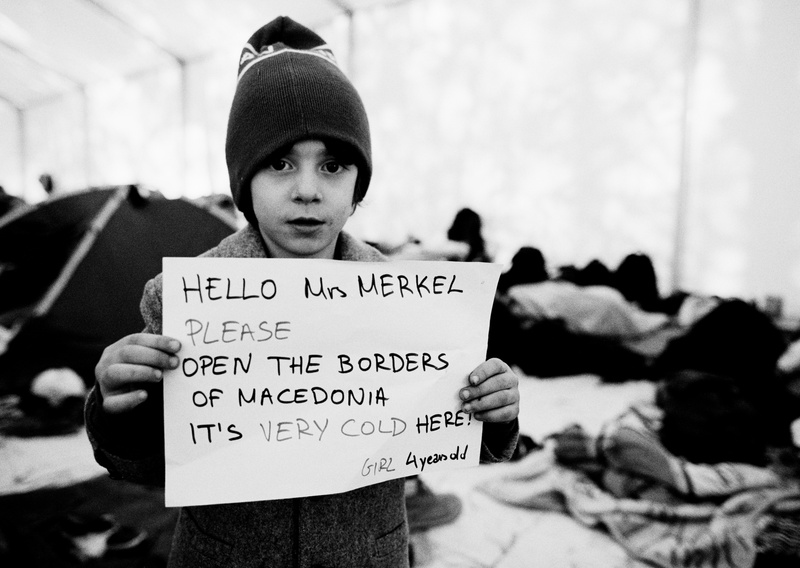 They were stuck in Idomeni after FYR Macedonia restricted border crossings. 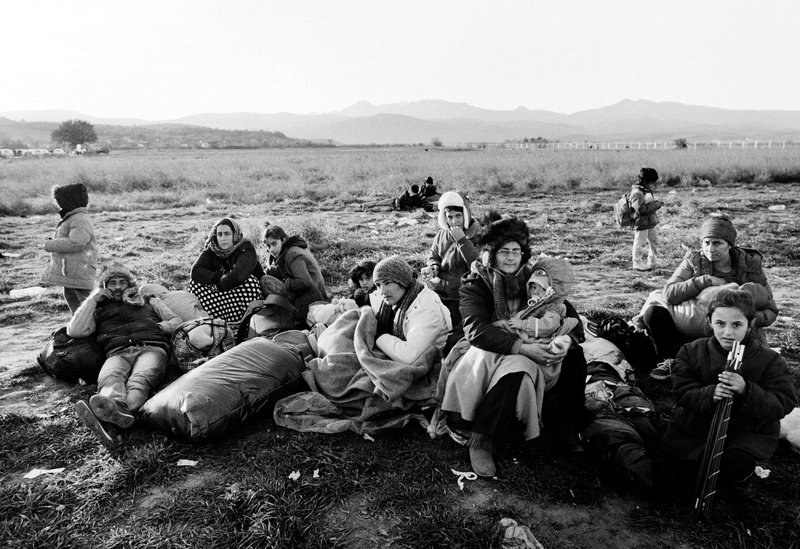 – Idomeni, Greece. 3rd December 2015. 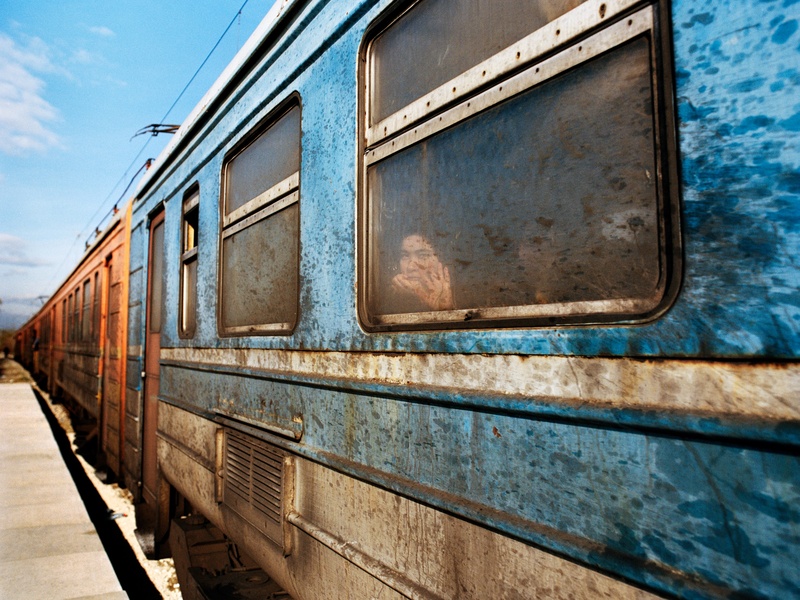 After FYR Macedonian authorities restrict border crossings to all except Syrians, Afghans and Iraqis, many nationalities found themselves stuck in limbo. 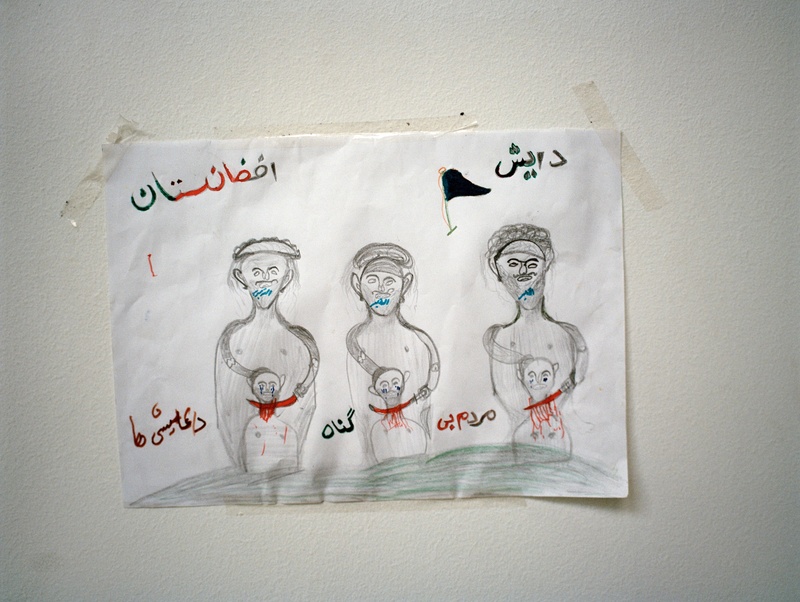 In protest, some Iranians had sewn their mouths shut. 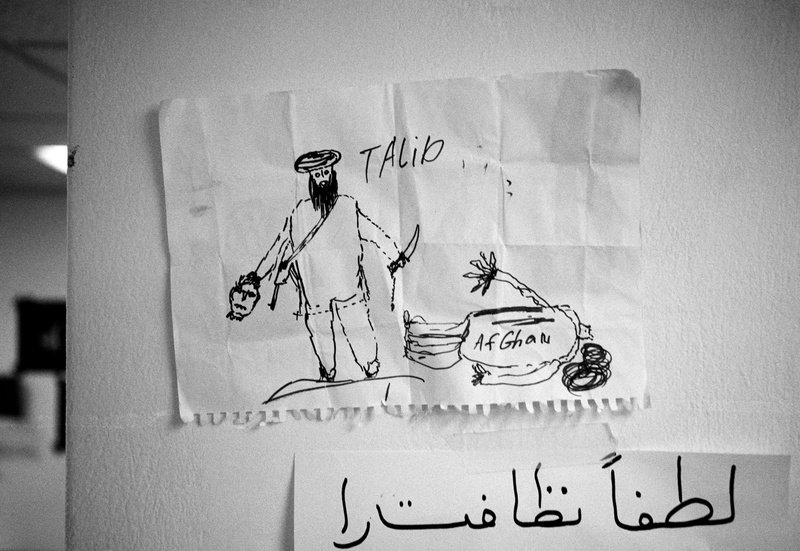 Arad, a young Iranian prepares to join the protest. 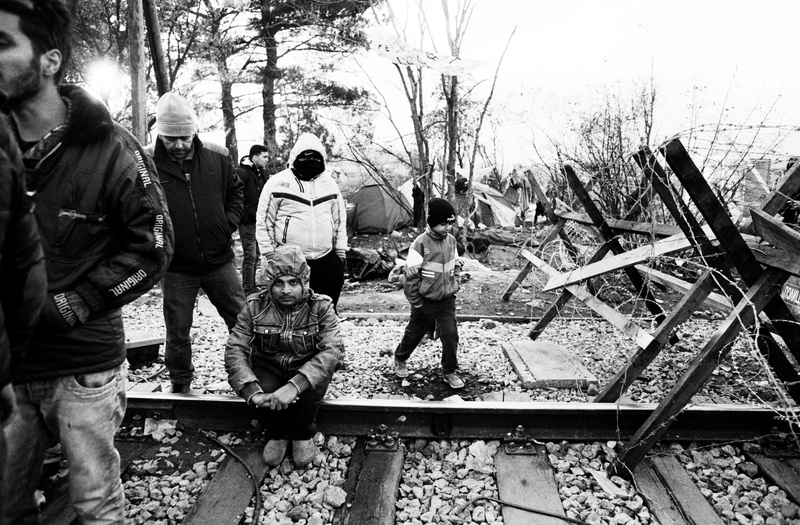 – Idomeni, Greece. 30th November 2015. 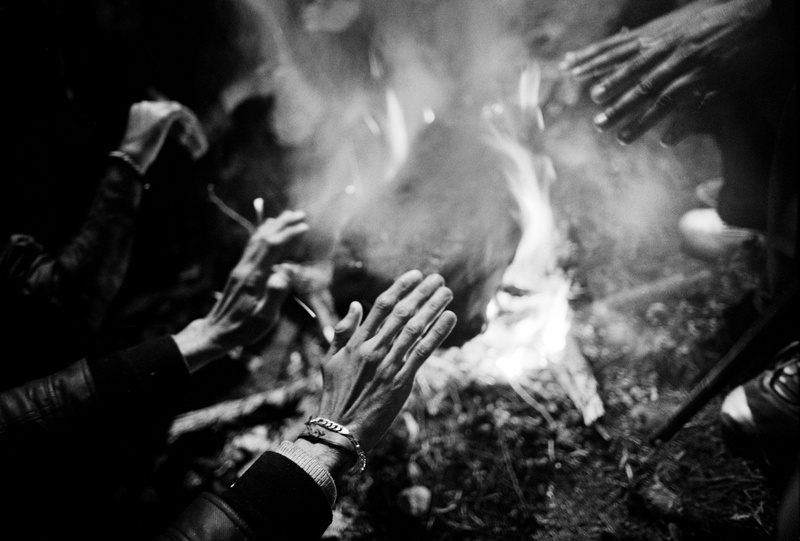 Migrant workers from Pakistan warm their hands against the freezing temperatures – Idomeni, Greece. November 30th 2015. 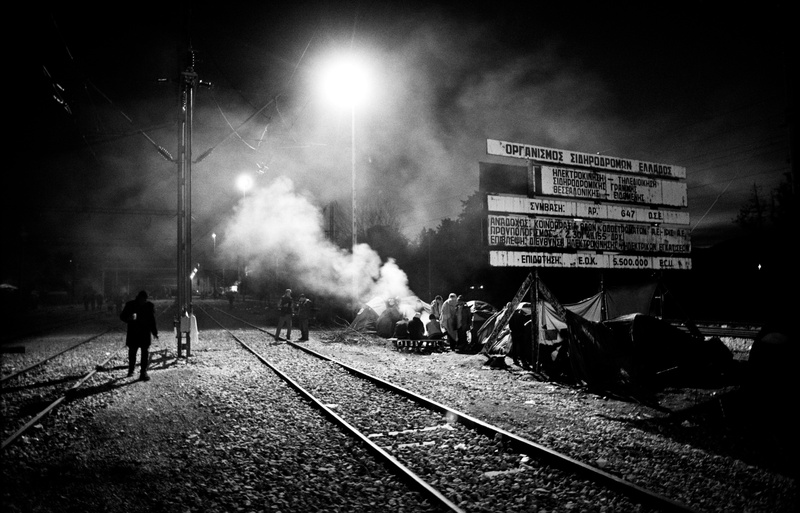 Nighttime at the border crossing between Greece and FYR Macedonia – Idomeni, Greece. November 30th 2015. 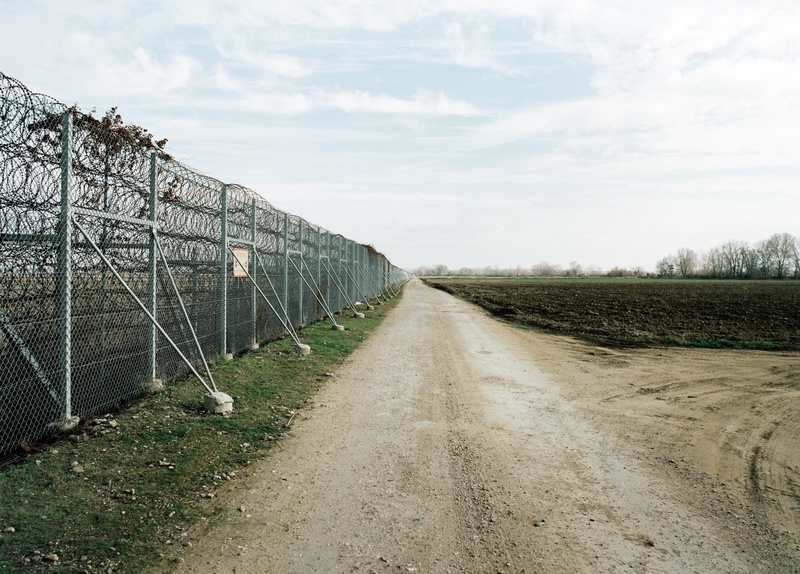 The recently constructed fence between Turkey and Greece – Evros, Greece. 8th December 2015. 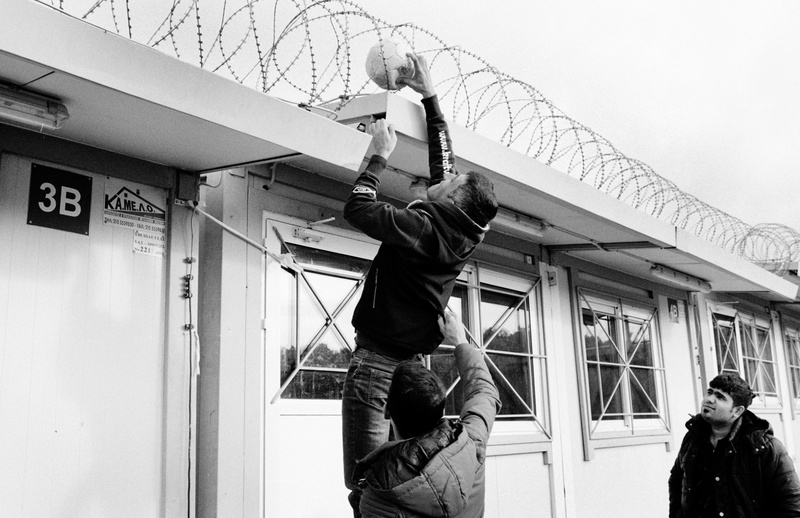 Refugees from Northern Iraq recover a football at the First Reception Center in Fylakio – Evros, Greece. 8th December 2015. 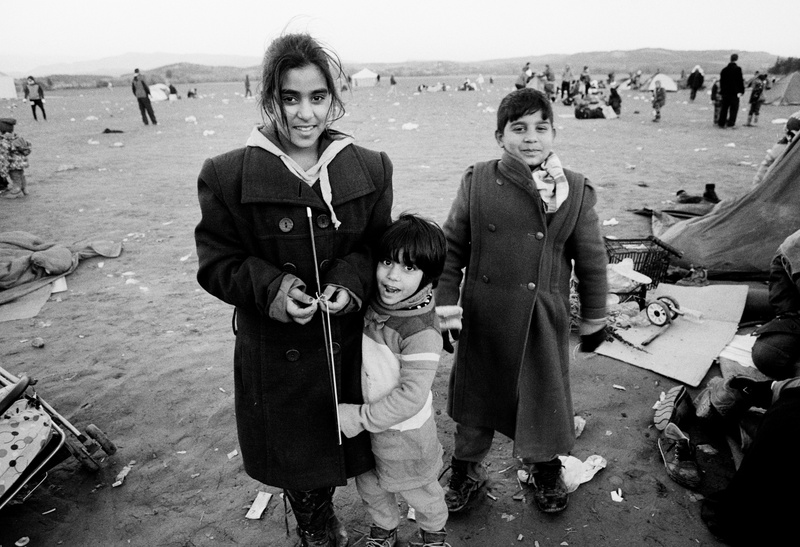 Iraqi children street dance waiting at a petrol station where 2,000 refugees were stuck – Near Idomeni, Greece. 6th December 2015. The distance from Damascus to Berlin via Lesvos is 4,500km, from Kabul 7,700km. After a journey that has taken months, dealing with smugglers, the crossing of the Aegean by boat, borders, nights without shelter, days without food, some refugees arrive at Schonefeld Station in Berlin. 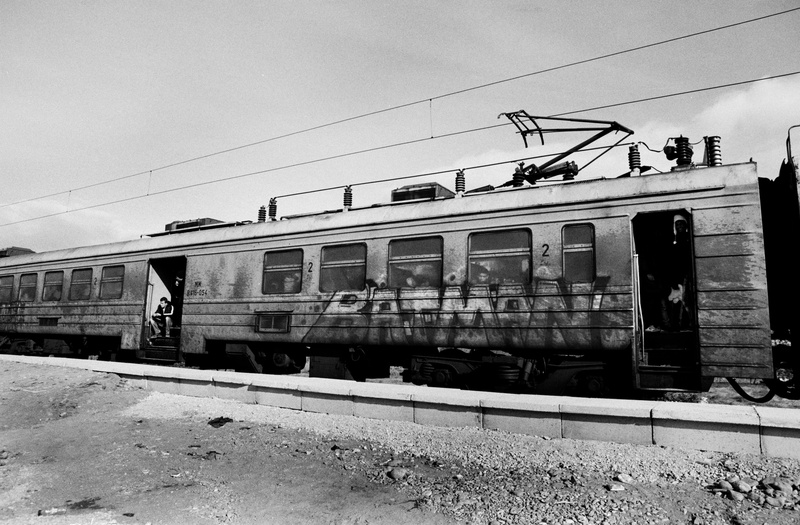 The last part of their journey was dubbed ‘the train of hope’ – Berlin, Germany. 27th December 2015. 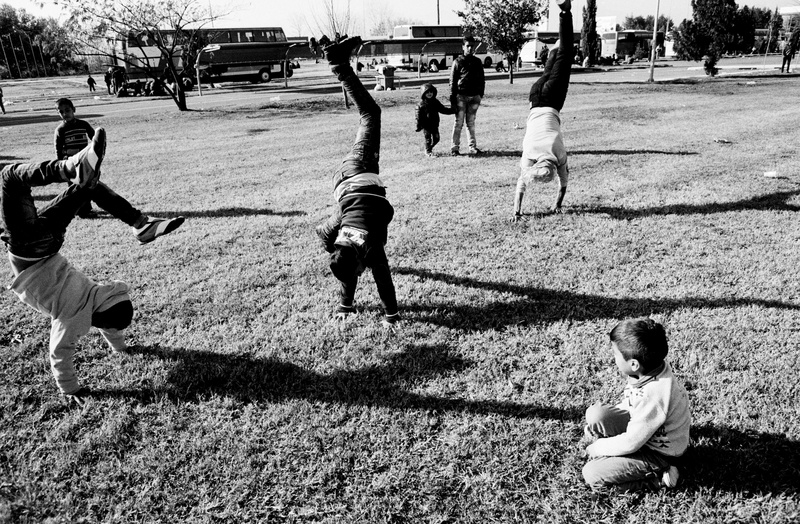 Iraqi, Syrian and Kurdish children play outside their hostel in Schonefeld – Berlin, Germany. 27th December 2015. 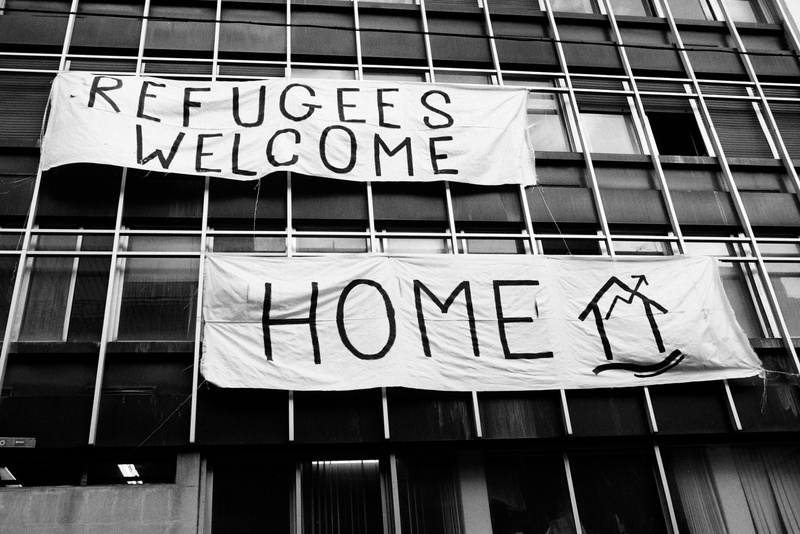 “Refugees Welcome” graffiti at the YAAM club. 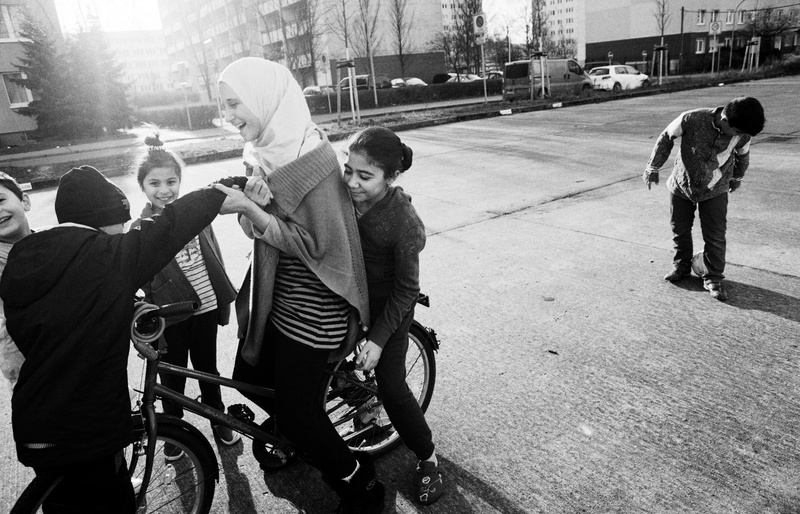 Whilst there has been much hostility, often violent, to refugees across Europe, one of the lasting impressions I have is of the volunteers making them feel welcome. From saving lives on the beaches of Lesvos, to cooking ‘Welcome’ dinners in Berlin, everyday people have stepped up. – Berlin, Germany. 26th December 2015. Hassan, who is just 14, is one of thousands of minors who make the perilous journey through Europe unaccompanied. Normally the family can’t afford for everybody to travel, or other family members are too weak or vulnerable. Hassan’s family were desperate for him to get an education and hoped that at least he would have a future. – Berlin, Germany. 26th December 2015. 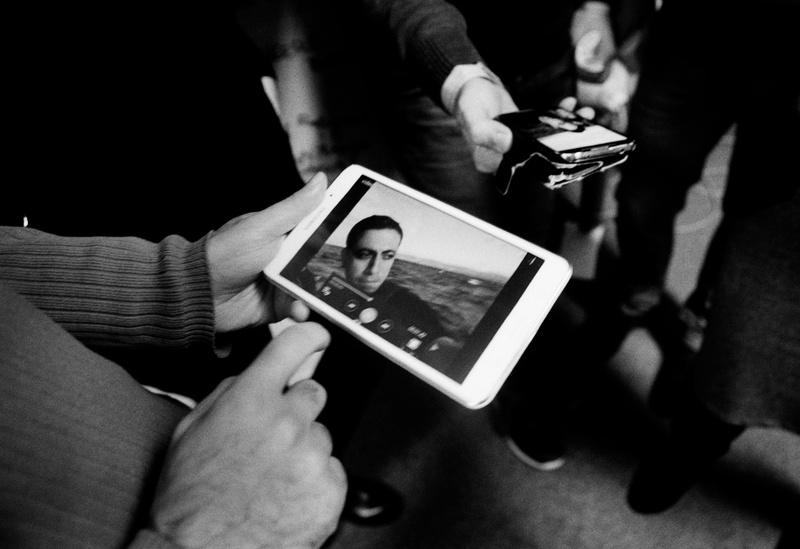 On Christmas Day, at a meal organised by volunteers in Berlin, Bahjat a Syrian refugee, shows footage he filmed when crossing by boat to Lesvos. 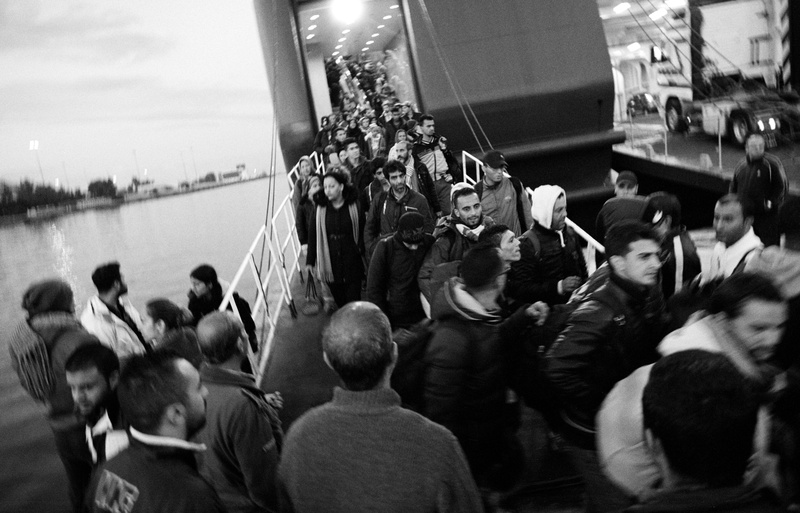 As he filmed his journey across the Aegean, I had been on the shore photographing the boats arriving. – Berlin, Germany. 25th December 2015. 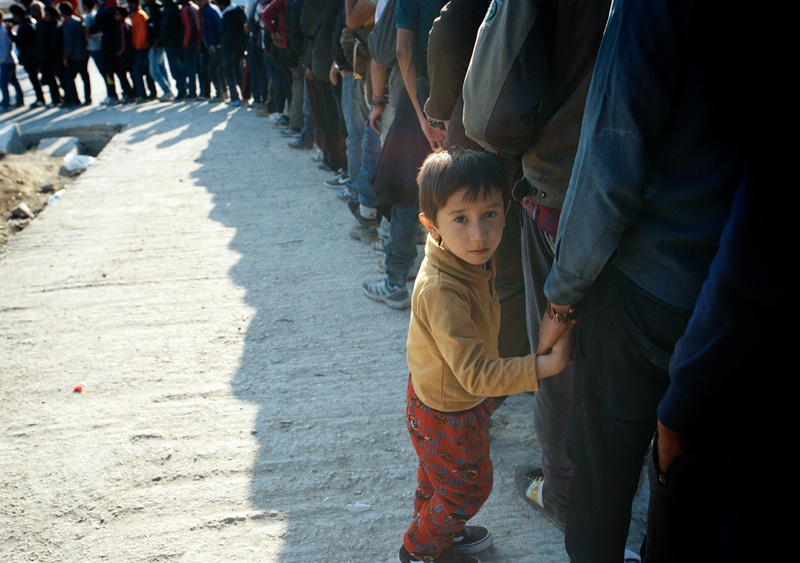 A Syrian refugee with the wristband he has had to wear to gain access to his camp. 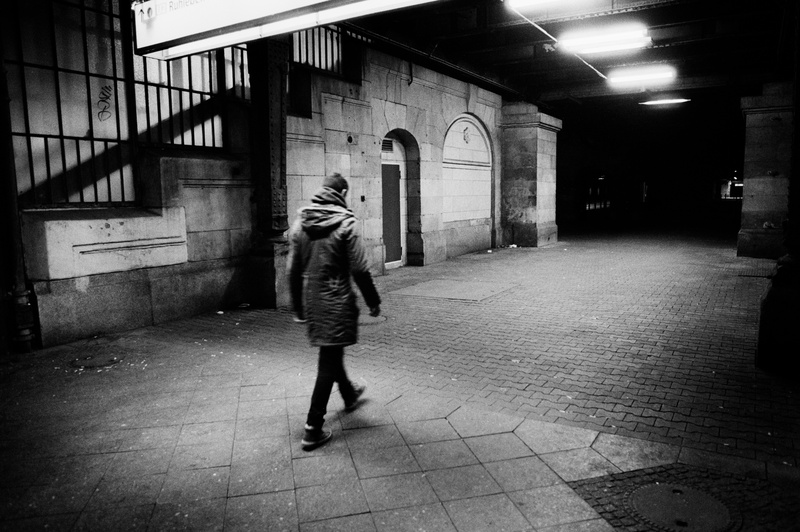 For many it’s a stigma that identifies them as refugees when they are out in Berlin. – Berlin, Germany. 26th December 2015. 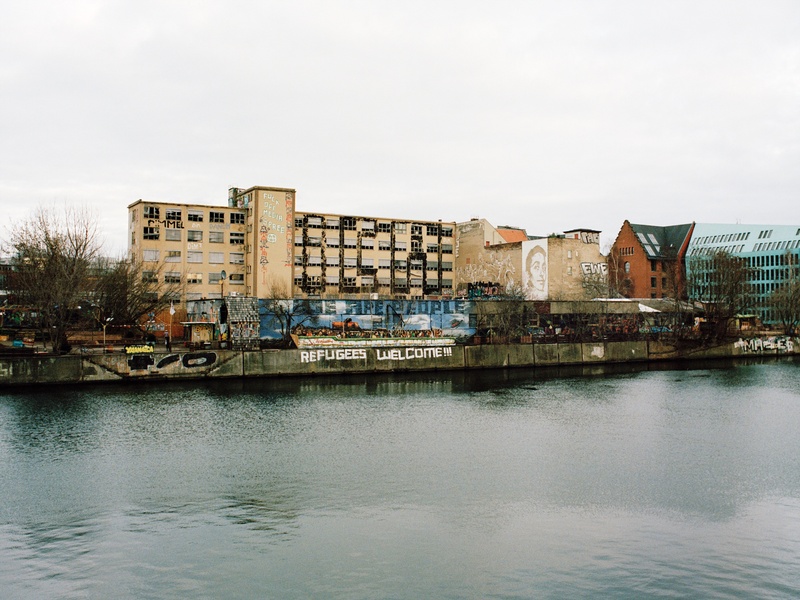 Struggling to find accommodation for the one million refugees and asylum seekers that have entered Germany in the past 12 months, the authorities have been using abandoned and vacant buildings across the country. 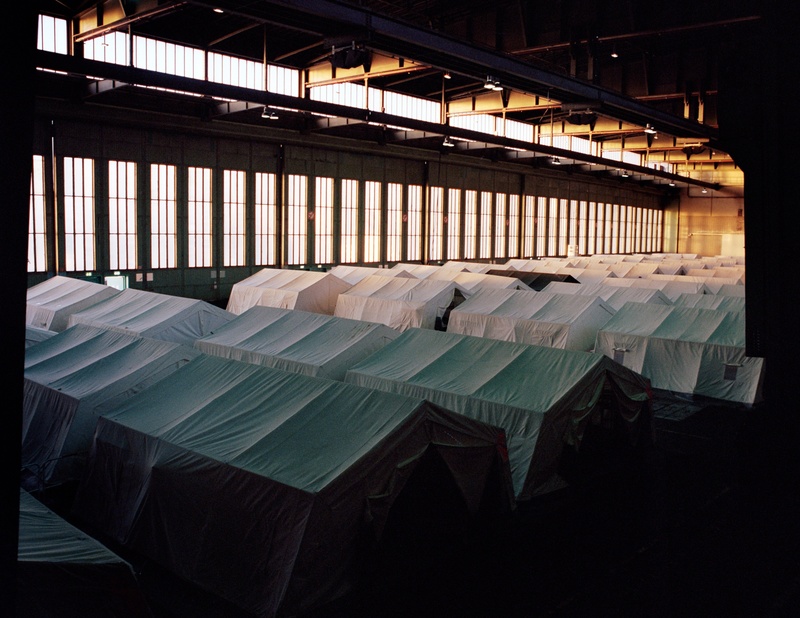 Including the Tempelhof, the former airport and symbol of Hitler’s “world capital” Germania – Berlin, Germany. 23rd December 2015.